What are the Geo Optimized Smart Pages? GEO Optimized smart pages are the responsive landing pages designed to target one specific service for one particular geographical location. Let’s assume you are in Garage Door Repair business and you have multiple services like Cable Repair, Spring Repair and Roller Repair, so you want to offer those services in different counties of Florida like Palm Beach County. Now this is the stage where you need GEO Optimized Smart Pages those will target your each service to each county/state. So, your one page should have all content related to One Service > One City > One County > One State i.e. 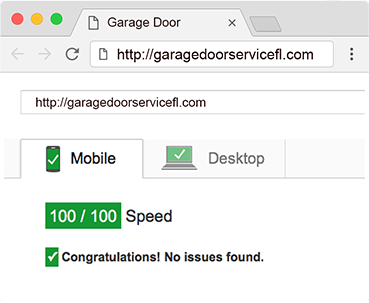 “Garage Door Cable Repair in Palm Beach County Florida”. And if your page will have very excellent green page loading speed on “Google Insight” and mobile responsive of course, then Google is going to dominate your smart landing pages on first page of Google Results with very high traffic keywords. Why Geo Optimized Pages are very necessary for your business? As you know Google is focusing on very closer and specified geographical results to its users, that is the reason you must have to smart pages. Whenever you search for any service in Google, it shows the result of the service providers those are near to you or are in your area. 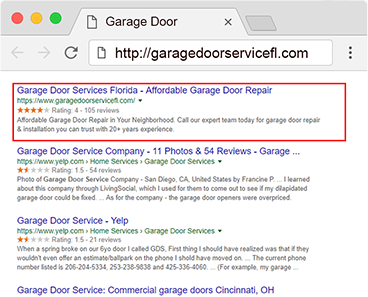 Google brings those pages up which are offering the same service in your area. For Example: You are living in Houston Texas and you are looking for an HVAC company and you search in Google “AC Repair in Houston” OR “Ac Repair”. Google will read your local IP and will bring up the results of all HVAC companies who are near you. Search engines like Google always use the same strategy for PPC campaigns also. So, having Geo targeted landing pages are vital part of your business to get the top ranking on search engines. 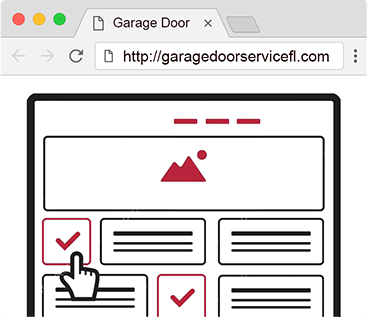 We have created many of the Smart Pages for different industries and here we are giving you an example of Garage Door Business Smart Page Florida. Please take a look at the page load speed of our created geo targeted smart landing page. This is how your page should look like in Google Insight Tool. Review and rating is developed using Schema.org, most likely Google to show stars and rating on the search result page. Ready to dominate your business to each city, county and state? Let us create Geo optimized Smart Pages for your business and start spreading your business with highly lead generating keywords. The content of the page will be human written? YES, We believe in human written contents as the search engines do. And those contents are highly creative, industry specified and SEO optimized. What type of call to action a smart page will have? It depends upon your business what is your target. If you want your users to call, the Smart Pages will have prominent click to call button, but if your target is to generate leads using an opt-in form, we can create to focus on the form. But if you need to target both types of audience, we will make a pages that will encourage audience either call or fill out the form. If I already have a website, do I still need Smart Landing Pages? Yes, although you have many pages of your website but the purpose of your website is to display your company’s portfolio. On the other hand, the Smart Landing Page is made to target your one service in one specific location city of a state. 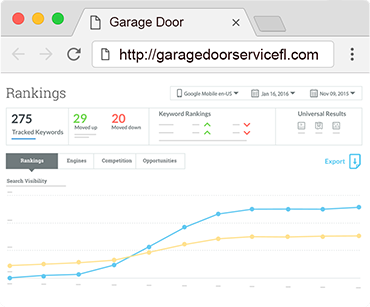 And as many Smart Landing Pages as you have, you are most likely to dominate with thousands of keywords. Do I have to overwrite Smart Landing Pages to my website? So, service is the new folder into your website and all the Smart Pages will be uploaded into that folder. Do all of the smart pages have sitemap.xml? Yes, we provide smart pages with sitemap.xml that can be submitted into google webmaster tool.